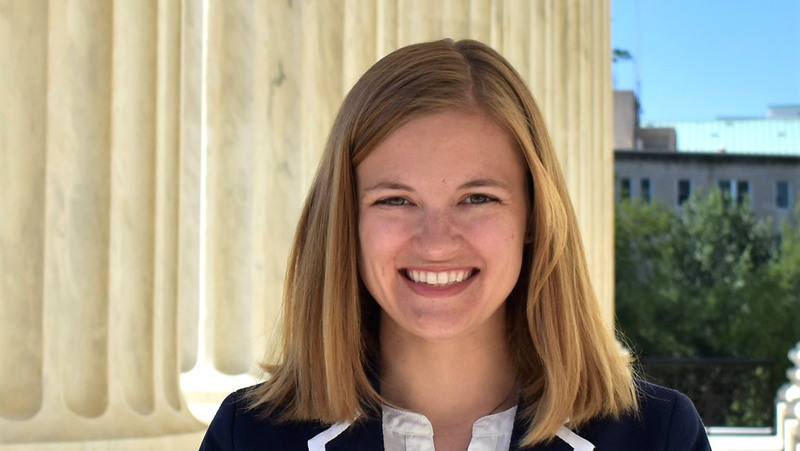 Access to Education Carrie Macon '20L worked with the Guardian ad Litem education team at the Children's Law Center in Washington, DC this summer. Carrie Macon is a second-year law student from Murfreesboro, Tennessee. She graduated from the University of Tennessee-Knoxville in 2011 with a degree in Political Science. Prior to law school, she taught fifth grade in Nashville and Johnson City, Tennessee. At W&L Law, she is a staff writer for the Washington and Lee Law Review and a board member for the American Constitution Society. I worked as a summer law clerk for the Children’s Law Center (CLC) in Washington, D.C. I specifically worked with CLC’s Guardian ad Litem education team. As a former teacher, I knew I wanted to do something related to education law during my first summer. I attended the Equal Justice Works Job Fair and Conference in October, and while the Children’s Law Center did not participate, attending the fair made me realize that I wanted to work in D.C. I then found the CLC by searching for education law organizations in D.C. When I saw that one of CLC’s goals is to ensure that all D.C. children have access to quality education, I knew wanted to apply. My summer experience gave me the opportunity to learn about a variety of different issues D.C. families face. Throughout the summer, I researched issues related to home-hospital instruction, the Individuals with Disabilities Act’s stay-put provision, and special education transportation. I had the opportunity to accompany attorneys to home visits, school meetings, and hearings. Additionally, CLC hosted several trainings so that the summer clerks could learn about other pertinent topics, like D.C. housing issues and the D.C. foster care system. In addition to the trainings on D.C. legal issues, I participated in several trial skills trainings. I was able to attend a D.C. Family Court training on exceptions to hearsay, and CLC’s own trainings allowed us clerks to develop theories and themes of cases, write mock openings and closings, and develop mock direct and cross examination questions. The trial skills trainings culminated in a full-day neglect trial simulation at the end of the summer. These experiences allowed me to start to develop litigation skills. Legal research and legal writing were most useful in preparing me for the summer. I referenced my legal writing books and legal research class notes on several occasions throughout my time at CLC. It was also helpful to have exposure to administrative law because CLC’s work intersects with state agencies. I was most surprised by how dynamic direct representation can be. Each day brought new challenges. Within one day, I could work on research tasks, attend office or court trainings, help locate resources for clients and attorneys, reach out to clients to set up school visits, and attend school meetings. My favorite aspect of this summer was that I had many opportunities to get out of the office and interact with clients. I loved observing court hearings, school meetings, and accompanying my supervising attorney on home visits. This allowed me to understand how my work impacted clients’ lives. I’m still not certain what type of law I want to practice post-graduation. However, my experience did help confirm that I want to advocate for marginalized populations in some capacity. My experience at CLC exposed me to evidence topics and trial skills that will help me in my 2L and 3L classes. I had the privilege of observing several attorneys in different advocacy settings. As someone who was hesitant about litigation entering law school, my summer experience has caused me to become more interested in litigation related classes.